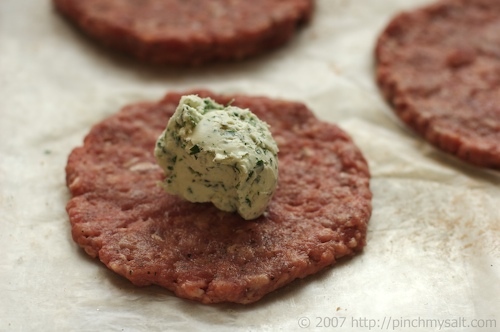 This is a very tasty Blue Cheese Hamburger Recipe and easy to grill because you don't have to top the burger with blue cheese crumbles when grilling. 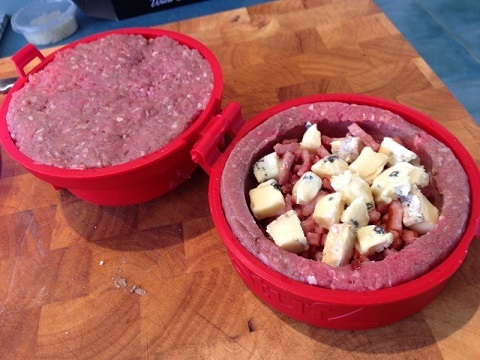 The cheese is mixed in with the meat. 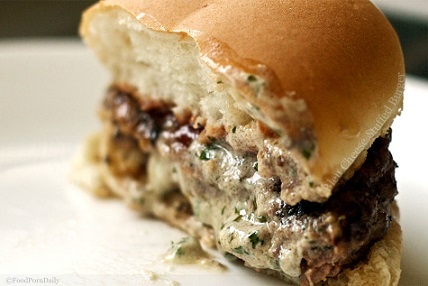 You will be amazed at how well the mixture of ground beef and rich blue cheese go together. 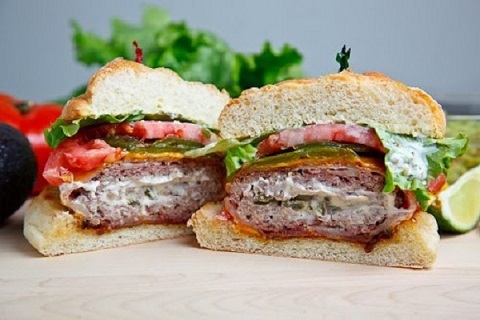 Actually "stuffed hamburgers" have become very popular. People are imbedding a variety of ingredients in burgers ...cheese, relishes, you name it ...even macaroni and cheese. I like a variety of bleu cheese. Use your favorite kind. 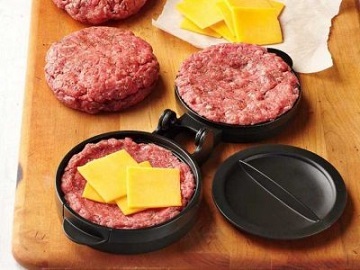 You can easily "stuff" a burger by hand. Or, today, there are also hamburger stuffing tools to make the task even easier! For a low-carb version of this hamburger, just skip the bun and horseradish sauce. Serve the burger on a plate with the condiments and you'll only have about 3 carbs. Serve it with some cauliflower salad and you'll add another 17-18 carbs. Preparation time: 10 minutes. Makes 6 bleu cheese burgers. 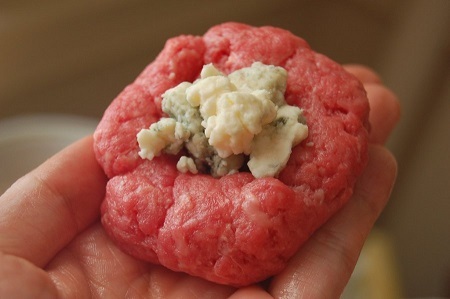 Enjoy your Bleu Cheese Hamburger Recipe and the company of those you share it with. Did you know? The modern hamburger (on a bun) appears during World War I. The White Castle restaurant chain was established in 1916 at Wichita, Kansas and by the early 1920's sold hamburgers. Some scholars say the first hamburger served on a bun appeared in 1917 at Drexel's Pure Food Restaurant, Chicago. By 1920 hamburgers on buns were sold in San Francisco and Cincinnati, and by the mid-1920s, hamburgers were recognizable to most Americans.